We all know how difficult it can be to find a healthy snack when you’re out and about. It’s tempting to grab a quick sandwich or pastry to fill the hunger gap. This is especially true when you don’t have time to prepare a nutritious lunch, and your energy levels are about to crash. But even though they may provide a temporary lift, those carb-laden fixes could be doing you much more harm than good. Let’s take a look at why refined carbs are usually a bad idea! Most of us know that refined white bread isn’t the best for our health, but what about those artisan breads made with organic wholemeal flour or sourdough – are they any better? 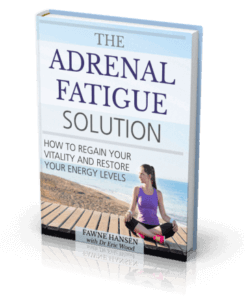 If you have Adrenal Fatigue, the short answer is no. What most people fail to realise is that although the ingredients may at first glance appear to be healthy, it’s what your body does with that food once it’s ingested that’s the problem. 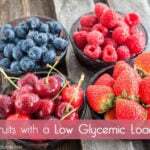 All carbohydrates (even the slow burning ones) have an effect on your blood sugar levels. The moment you eat a food product that is high in carbs, your body converts this into glucose. For some people, this isn’t necessarily a problem. But if you’ve been battling with Adrenal Fatigue for some time, you’ll already know that sugar spikes and crashes are to be avoided at all costs. Although you may not think that a slice of bread or a rice cracker is doing you much harm, studies show that they can cause as much of a blood sugar spike as a candy bar. In order to balance out the sharp rise in glucose, your body reacts by producing insulin. Insulin is also known as the fat storing hormone because it forces glucose out of the blood stream and sends it to be stored in the liver. 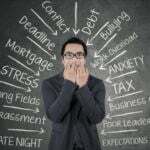 Many people under chronic stress already have compromised liver function. The liver is overworked trying to metabolize excess stress hormones such as cortisol and adrenaline out of the system. By placing an extra load on the liver, this inevitably leads to feelings of tiredness and lethargy. In other words: an energy crash. Your liver only has limited storage capacity for glycogen (blood sugar which is stored in the liver). Once this capacity has been reached, the rest gets herded into fat cells to be stored as – you guessed it – fat. 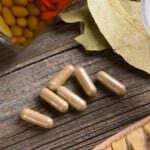 This is the reason why many people with Adrenal Fatigue are also plagued with issues like excess weight gain and metabolic disorders. These health problems only serve to compound the ones they’re already facing from their Adrenal Fatigue. Most people with Adrenal Fatigue are clear that avoiding sugar is the first step towards cleaning up their diet and ameliorating their symptoms. However, if you’ve tried removing sugar and are still not making headway with your energy levels, it’s certainly worthwhile taking a closer look at your diet to see which other hidden culprits may be contributing to your adrenal exhaustion. Breakfast can be tricky at the best of times. People with Adrenal Fatigue are naturally short of energy in the mornings due to fluctuating cortisol levels and inevitable problems with their sleep hygiene routine. Grabbing a bowl of cereal can seem like a healthy answer (after all, the television ads tell us they’re packed full of fiber and artificially added vitamins!) but it pays to take a close look at the label on the back of the carton. Products that are high in carbohydrates and refined grains may give you enough get up and go to start your day, but it won’t be long before you’re feeling hungry and craving another snack. There’s no denying that fruits are healthy foods and very good for you. However, when you juice, you’re removing all the natural fiber from the food. This means that, instead of slowly releasing energy and keeping you full, your liver experiences a great big sugar hit all in one go. Although you might think that buying a juicer is a great idea for boosting your overall health, people with Adrenal Fatigue must be mindful of the fact that sugar is sugar (even if it is in the form of fructose) and so must be limited to manageable quantities. As with all food that’s good for you, it’s far better to eat it in the way that nature intended. If you think that blood sugar issues may be contributing to your Adrenal Fatigue, it’s worth checking which foods are high on the glycemic index (a scale which ranks food on how quickly they raise blood sugar levels) and may be contributing to your health issues. Good foods for juicing are greens and low sugar fruits such as cucumber, celery, collard greens, kale, fennel, lemon, and limes. In our adrenal fatigue treatment program, Dr Wood and I describe a nutritious, healthy diet that’s perfect for supporting your adrenals. 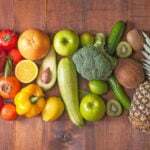 The right diet can boost your energy levels. improve your immunity, and get your health back on track!